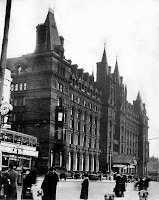 Lime Street Station Liverpool, although one of the world’s first true public railways linking Liverpool to Manchester, began as a terminus outside the city centre at Crown Street rather than Lime Street. In the very earliest days, trains were hauled up and down from Edge hill by ropes, rather than by locomotives. 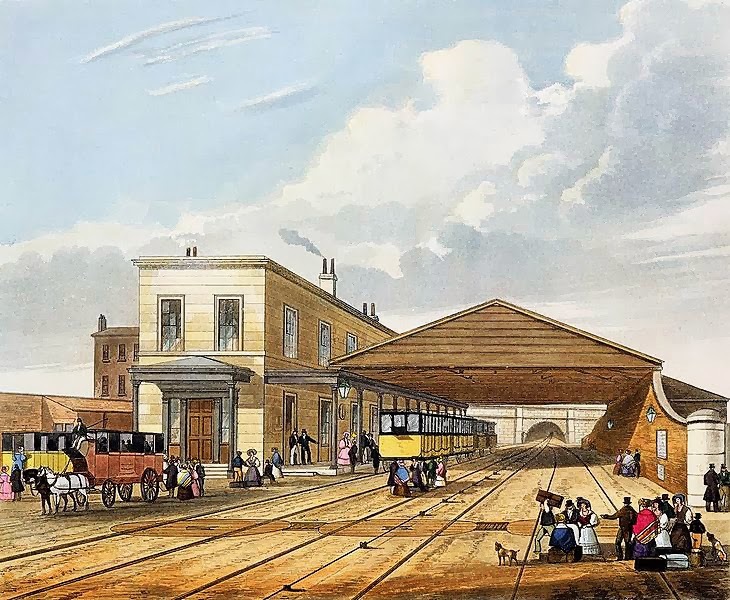 The original terminus of the 1830 Liverpool and Manchester Railway (L and MR), located at Crown Street, in Edge Hill, to the east and outside of the city centre. 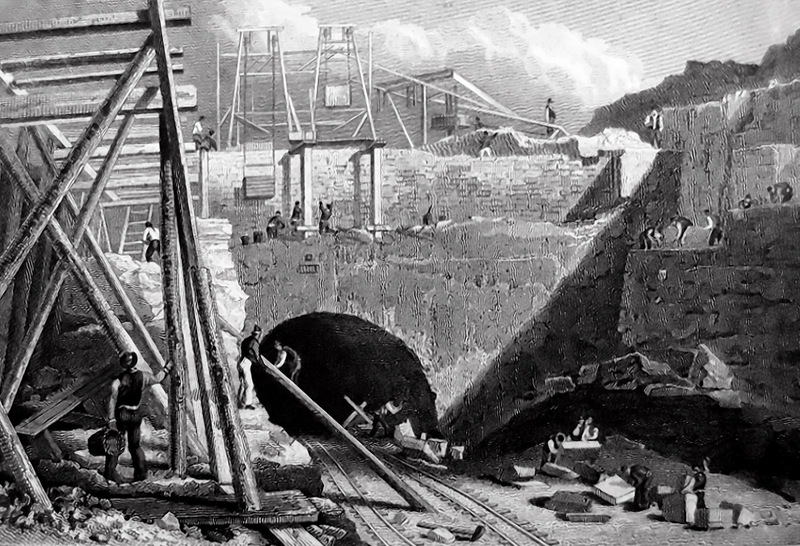 Construction of a purpose-built station at Lime Street in the city centre began in October 1833, the land being purchased from Liverpool Corporation for £9000. 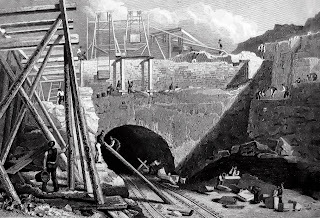 A tunnel was constructed between Edge Hill and the new station prior to station construction in 1832. The station was finally opened to the travelling public in August l836, although it was still not completed and work continued on various parts of the building over the following years. This included the iron gates and the palisade, which were erected in 1837. The structure was extremely elegant, with many features which were soon copied all over the country. Originally, because of the steep incline between Lime Street and Edge Hill, trains were stopped at Edge Hill, their locomotives removed, and the passenger carriages taken down by gravity, descent controlled by brakemen. The return journey was achieved by using a stationary engine to haul the carriages up to Edge Hill with rope. 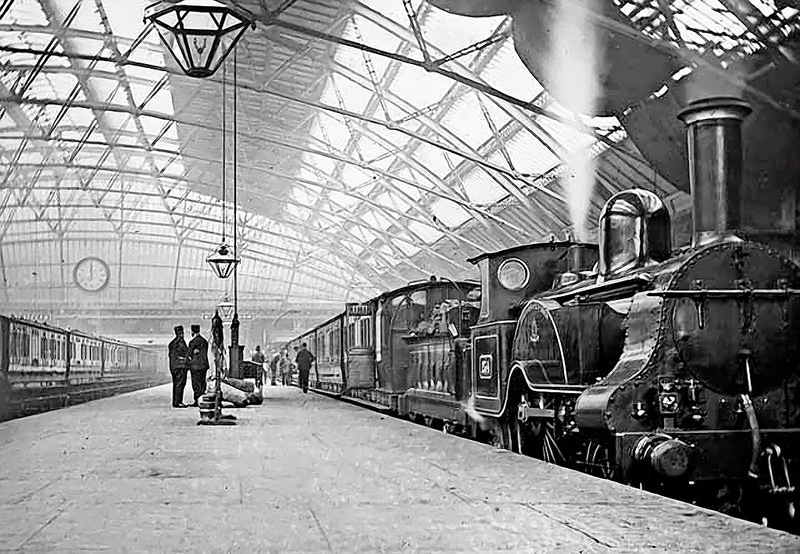 Within six years, the rapid growth of the railways entailed expansion of the original station. A plan was made to erect an iron roof similar to that found at Euston station in London, ridge roofs supported by iron columns; however, Richard Turner and William Fairburn submitted a design for a single curved roof, which won the approval of the station committee. The work cost £15,000, and was completed in 1849. In 1867 further expansion was needed and included the present northern arched train shed which, with a span of 200-foot was the largest in the world at the time. It was also the first train shed in which iron was used throughout. 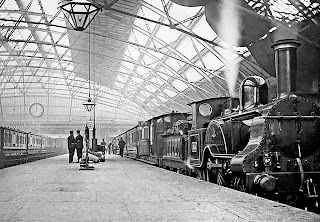 A second parallel southern train shed was completed in 1879 being notable in being of dry construction with each bay taking only three days to construct. The station is elegantly fronted by the North Western Hotel. Designed by Alfred Waterhouse, a large building in the style of a French château, the building was built in 1879 at the same time as the second train shed and is now accommodation for students of Liverpool John Moores University. A new ticket hall and office complex, which unfortunately masked the views of the arches, were constructed in 2001. 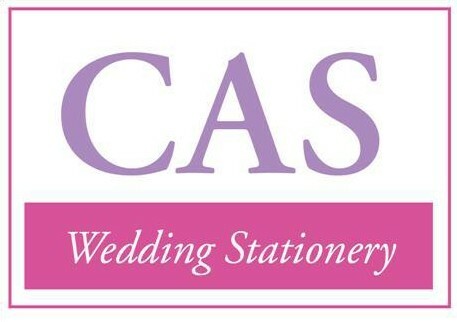 They were demolished as part of a comprehensive refurbishment completed in 2010. In 1845 the L and MR was absorbed by its principal business partner, the Grand Junction Railway (GJR); the following year the GJR formed part of the London and North Western Railway. In 1923, the station passed to the ownership of the London, Midland and Scottish (LMS) railway, and, in 1948, the London Midland Region of British Railways. The station was one of the first to send mail by train. 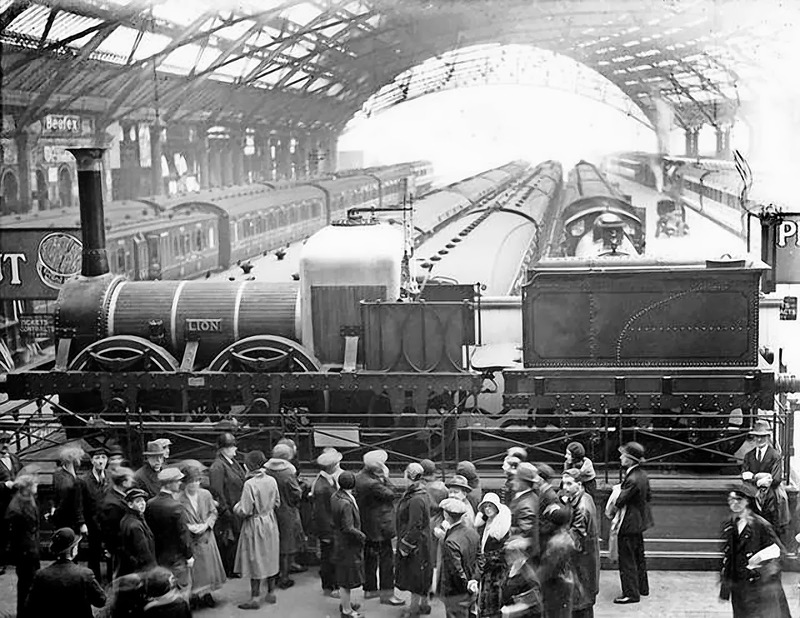 Lime Street station was part of the first stage of electrification of the West Coast Main Line in 1959. 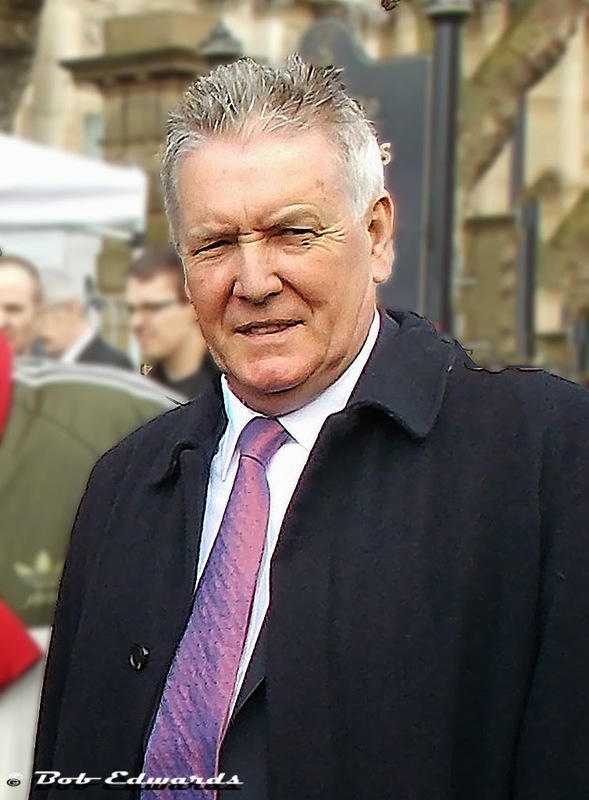 In 1966, the station saw the launch of the first Intercity service. 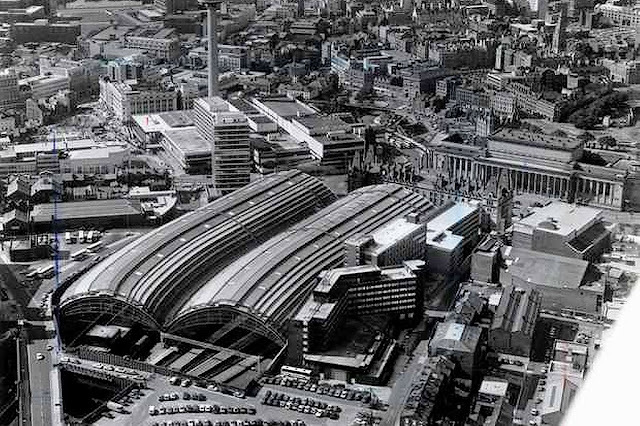 With the creation of Merseyrail urban rail network in the 1970s, four terminus stations were demolished in Liverpool and Birkenhead centres leaving only Lime Street terminus as a central point to serve the whole region for medium and long haul routes. The Merseyrail network created ease of access for the whole Merseyside region to the one remaining large terminus. Lime Street was voted "Station of the Year 2010" at the National Rail Awards. The mainline station is still covered by the vast iron and glass roofs dating from the 1880s. 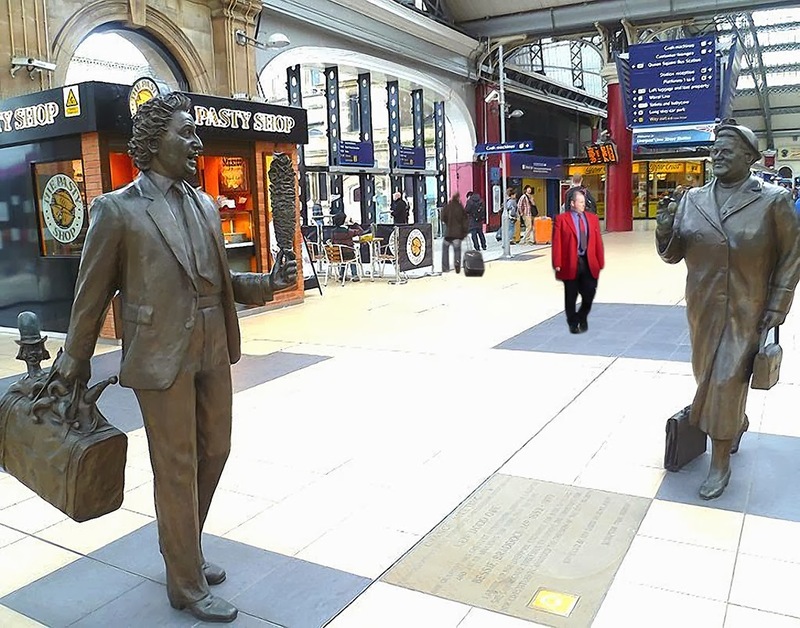 The main concourse features a pair of statues of Ken Dodd and Bessie Braddock, a work entitled "Chance Meeting" by sculptor Tom Murphy, unveiled by Ken Dodd in June 2009. On 31st August 2014 an 85,000 frieze at Liverpool's Lime Street station, which was the main departure point for men and boys leaving for war 100 years ago, was unveiled by the Earl of Wessex, Prince Edward. In 2009, new buildings were erected in the old "cab road" area between platforms 7 and 8. These currently house customer lounges, the Virgin Trains customer service point, and an ATM, and there are retail units which have coffee shops amongst the units. 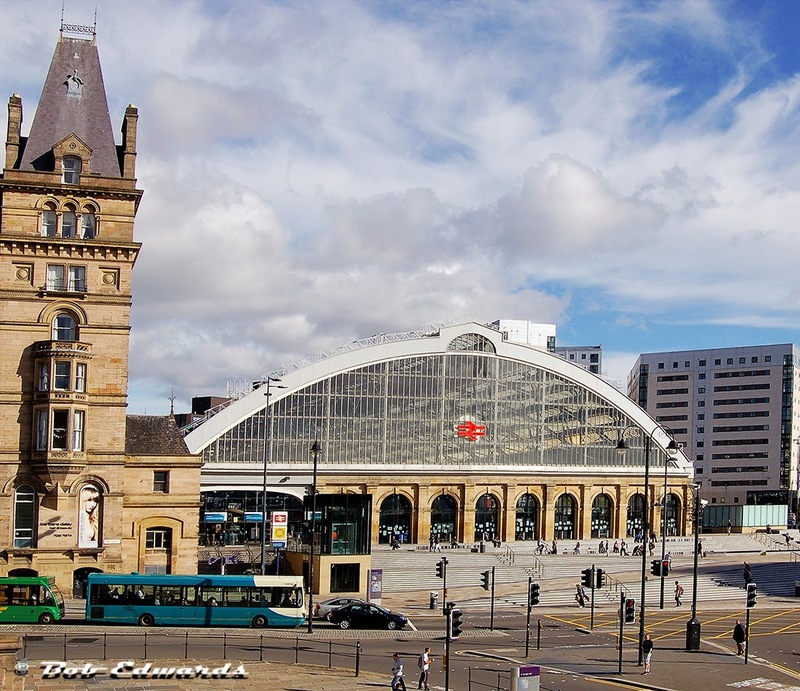 In line with Liverpool's role as European Capital of Culture in 2008, and the city's 800th anniversary in 2007, the station and its immediate surroundings received a £35 million redevelopment. 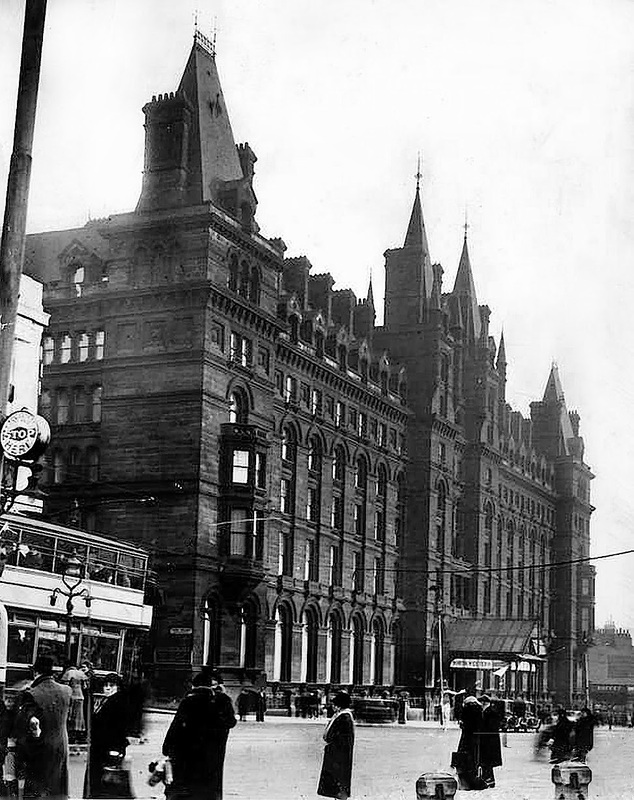 The Lime Street Gateway Project saw the retail parade and office block in front of the station demolished, and an improved frontage and public plaza built. The development was overseen by English Partnerships.